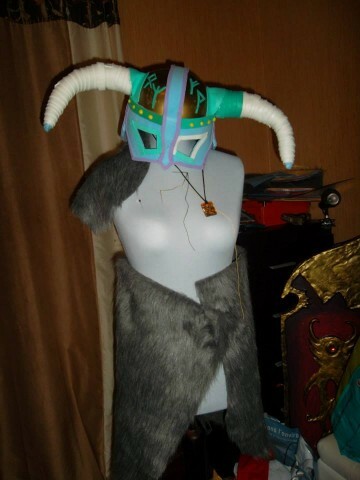 Skyrim Armor for a Human and a Horse « Adafruit Industries – Makers, hackers, artists, designers and engineers! It takes a certain level of dedication to not only make a costume for yourself but to also make one for an animal companion. 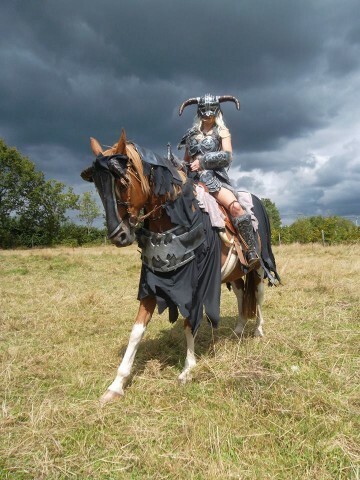 Ewenae Cosplay has a large cosplay portfolio full of armor builds so it’s no surprise she was up to the task of outfitting her horse with Skyrim Dovahkiin armor to match the set she made for herself. I don’t know if her horse can climb up the side of crazy steep cliffs like the horses in the game can, but he doesn’t need to. She worked on the costumes for herself and her horse (her photo captions are in French, but I think the horse’s name is Killer) last summer. 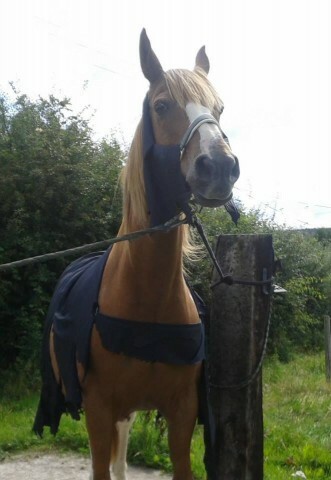 She tore black cloth and fit it on the horse and built a front armor piece and also a piece to fit onto his nose. She sculpted horns for the horse that matched her helm. 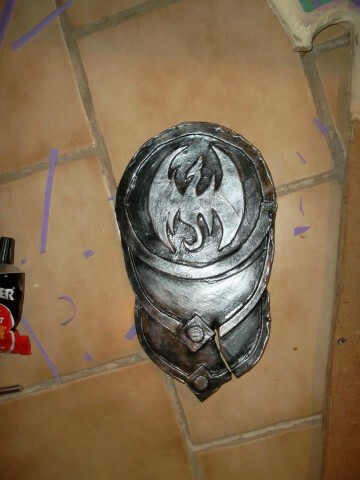 The armor was all made from foam so it’s quite lightweight, and it was painted to look silver. You can see more work in progress photos at Facebook.